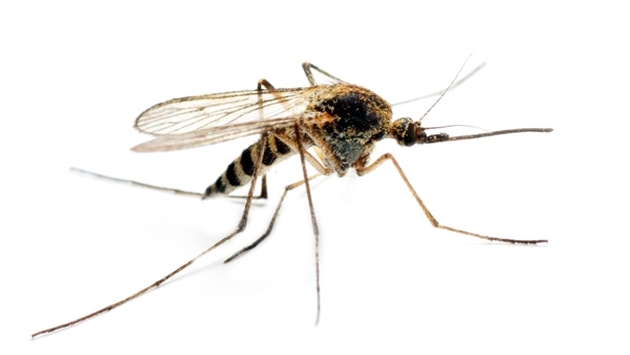 THE PULSE: Anguilla’s Ministry of Health disputing a New York Times report the country was among countries with between 100 and 1,000 cases of chikungunya. WHY IT RATES: Anguilla’s health ministry reports 47 cases of chikungunya, the mosquito-borne illness, as of Nov. 7. Anguilla is employing several strategies to battle the illness, including treating swamps, cemeteries, drains and other areas. Concerned with the reports’ impact on leisure travel, Anguilla Hotel & Tourism Association (AHTA) officials said Friday New York Times editors are reviewing the report at their request. According to official statistics, to date Anguilla has recorded a total of only 47 confirmed cases of Chikungunya on the island in the past year. A list included in a recent New York Times article reported that Anguilla was among countries with 100-1,000 cases of Chikungunya, citing PAHO as the source of this information. However, when contacted by Anguilla’s Ministry of Health, Dr. Godfrey Xuereb the PAHO/WHO Representative to Barbados and the Eastern Caribbean confirmed that only information reported by countries is placed in the public domain. PAHO’s website clearly reflects 47 confirmed cases as of November 2014. The list adjacent to The New York Times article has misrepresented the official data and was being reviewed by The New York Times editors at the request of the Anguilla Hotel & Tourism Association officials. The Anguilla Department of Health Protection’s Vector Control Unit continues to treat swamps, cemeteries, drains and other water holding areas. These measures of eliminating breeding sites as well as the removal of bulky waste are the most effective means of reducing mosquito numbers. The Department of Health Protection will continue to conduct periodic fogging; however, fogging only kills adult mosquitoes. It does not kill mosquito eggs, larvae or pupae and is not the most effective method of controlling mosquito numbers. The Anguilla Ministry of Health continues to stress the importance of taking precautions to avoid being bitten by mosquitoes. Individuals should use insect repellent, wear long sleeve shirts and pants or protective clothing when outdoors, use mosquito nets and stay in areas with screens. Additionally, persons should make every effort to remove stagnant water, cover water storage containers, and ensure cisterns are screened to eliminate mosquito breeding and harborage. These simple measures will go a long way in preventing mosquito bites and mosquito borne disease transmission. Chikungunya fever is a viral disease transmitted to humans by the bite of an infected mosquito. It is not transmitted via direct human to human contact. Chikungunya fever is basically characterized by sudden onset of high fever, severe pain in joints especially the wrists and ankles and muscular pain or tenderness which may persist for several months.